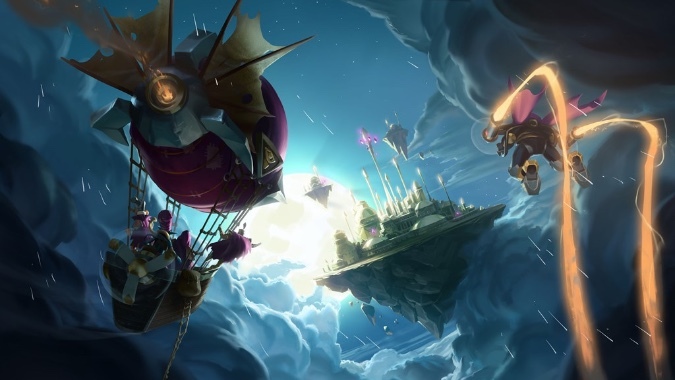 Rise of Shadows, Hearthstone’s latest expansion expansion, is due out tomorrow so it’s no surprise that deck concepts are flying all over the internet on sites like Hearthpwn and Hearthstone Top Decks. All these exciting new decks are chock full of expensive Legendary and Epic cards, which makes them tough for more casual players to build. Decks aimed at the more casual or budget player are much harder to find, but I’ve taken some ideas theorycrafters think will work in Rise of Shadows and tailored the decks to a player with a smaller card collection. So if you’re looking to jump into the game tomorrow, here’s what you need to know. In Hearthstone, each card has a rarity displayed by a colored gem in the center of the card. These are Free (no gem), Common (grey or white), Rare (blue), Epic (purple) and Legendary (orange), colors should look familiar to most World of Warcraft players. The color tells you something about the quality of the card but isn’t a hard and fast rule — also like WoW, even Legendaries can be bad. Some Rares can be more powerful than Epics, and some Epics can be more powerful than Legendaries. Another thing rarity tells you is the cost of the card. Players get random cards from card packs, and they can disenchant duplicate cards to get Arcane Dust which is in turn used to craft cards. Golden cards, also given in packs, are fancier versions of the normal cards. They work the same, but have animated art instead of a static picture, and disenchant for far more dust. As a casual or budget player, you should never craft a golden card, and you should dust every golden card you receive. Thanos would be proud. For example, if you decide you like my Murloc Shaman and want to craft a Murloc Warleader you need 400 dust, the equivalent of 20 disenchanted Rare cards, but just four Golden Rare cards or a single Golden Epic. My general advice is to only craft Legendary or Epic cards is good, but if you need a key Rare, there’s nothing wrong with crafting it. The better your decks, the more you’ll win, and the more you’ll enjoy playing the game. As I designed these decks, I had to decide where to draw the line on budget. None of these decks contain a single Legendary card (unless it was free) and a maximum of four Epic cards. In most cases, I limited to myself to only two Epic cards from Rise of Shadows. 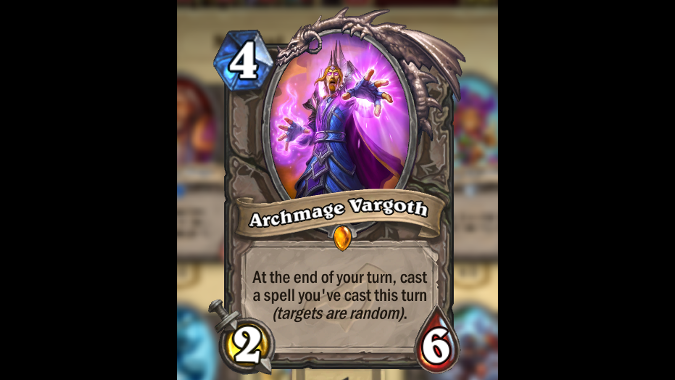 To celebrate the release of Rise of Shadows, Blizzard is giving all players a free Legendary card: Archmage Vargoth. One place to use him would be in Wall Priest, a version of the venerable Divine Spirit / Inner Fire combo Priest that’s been used since the earliest days of Hearthstone. You use your spells to stay alive in the early game until you can drop your big taunt minions. If the Archmage can stay alive, you get double Mass Resurrection. Even if not, a second Divine Spirit could set up a win with Inner Fire the next turn, or a double Divine Hymn might save you from certain death. 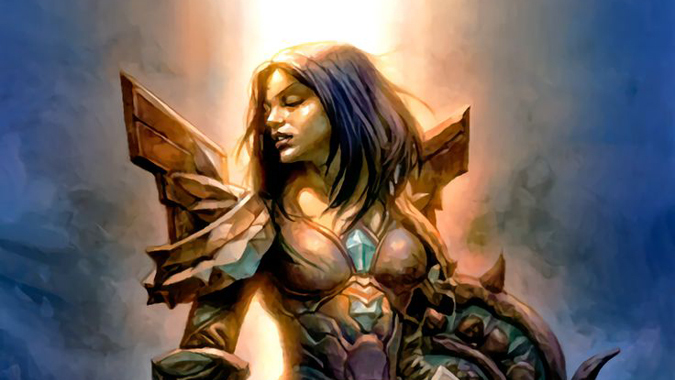 Epic Cards: Lazul’s Scheme and Cabal Shadow Priest. Bear in mind that if you use Cabal Shadow Priest to take control of an enemy minion under the effect of Lazul’s Scheme, they will keep the reduced attack on your side of the board. It won’t go back to whatever it was. This deck has the distinction of being the cheapest of all the budget decks I built. It has the same basic gameplan as Wall Priest, but a completely different way of executing it. You put out minions with big stats that are balanced by downsides, but then use silence to get rid of the downsides. You copy those big stats onto your Faceless Rager. Unsleeping Soul also gives you a second copy of the minion on the board. All of this sets up a Divine Shield plus Inner Fire combination. This Warlock deck aims to summon more demons than Demonology Warlock. You can buff them with Impferno and Magic Carpet while your Blood Troll Sapper puts constant pressure on the enemy hero. The wide board leads to some huge Heroic Innkeepers. 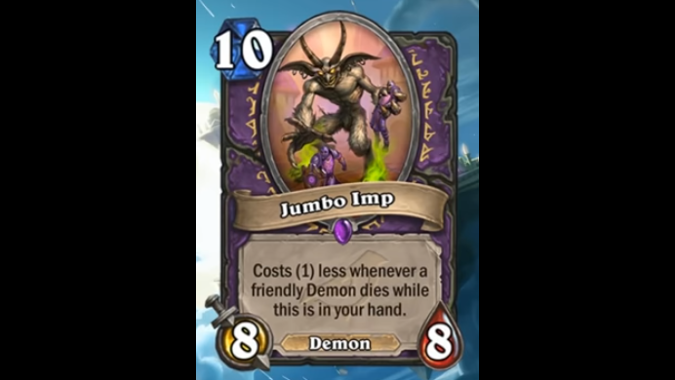 As these demons die, keeping your opponent’s board clear, you are reducing the cost of your Jumbo Imps to drop huge 8/8s. Epic cards: Magic Carpet and Jumbo Imp. 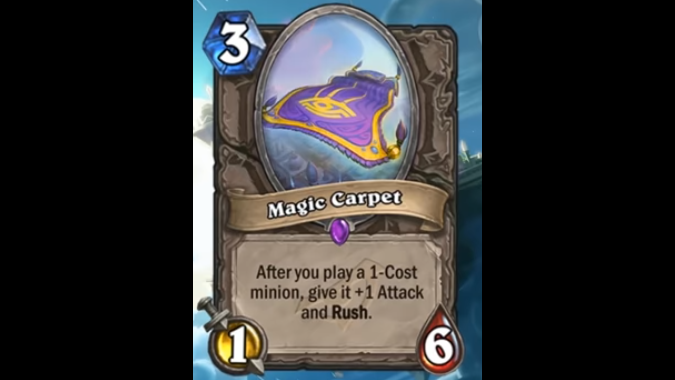 Grim Rally or a Raid Leader could replace Magic Carpet, but Carpet is a card you’ll see again and again in decks. Sea Giant could slot in for Jumbo Imp similar to Carpet Zoo. This is a more traditional Zoo deck where you flood the board the minions and buff them up. It has plenty of 1 cost minions for a good turn one play, while Lackeys give you more 1 cost minions with powerful battlecries. Eager Underling and Void Analyst provide buffs. Knife Thrower helps control the opposing board and puts face pressure on Control decks that don’t have much board presence. A full board makes for cheap Sea Giants to give you some big threats. Epic Cards: Two Sea Giants and two Magic Carpets. Sea Giants are Classic cards which never rotate. For an alternative this deck is yet another Zoo type deck based around Beast synergy and the Epic Untamed Beastmaster. Like Warlocks, Druids have a long history with token and Zoo type decks. Acornbearer, Dreamway Guardian, and The Forest’s Aid are some new token generators for Rise of Shadows. Besides Dreamway Guardian’s Lifesteal, Druid has several other cards to restore health like Crystal Power which can activate your Tending Tauren. Epic cards: Crystalsong Portal. This a great card generator, but with 15 minions in the deck, you won’t always get the full effect. When I think of Thrall, Murlocs aren’t the first thing to come to mind, but Morgl the Oracle, the alternate Shaman hero, fits this deck perfectly. Underbelly Angler helps put some resources back into your hand and Soul of the Murloc, inspired by Druid’s Soul of the Forest, reloads the board after your opponent clears it. 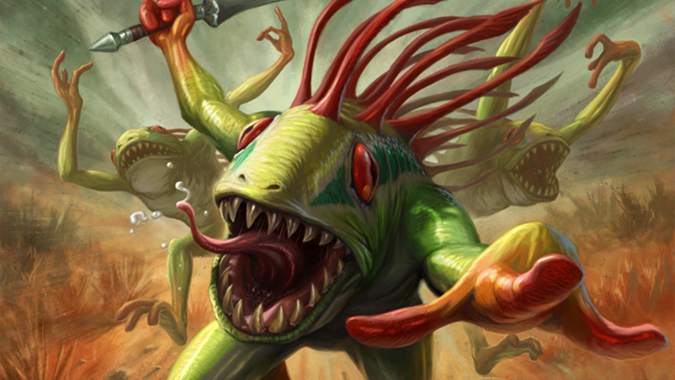 Neutral Murloc Toxfin will turn a pesky 1/1 into a dire threat. Bloodlust — or should I say Murlust — provides a powerful tool to burst down your opponent. Epic cards: Murloc Warleader is a Classic card and should be good as long as there are Murlocs. Doomhammer helps keeps the opponent’s board clear and combined with Rockbiter weapon provides burst damage. This version of Murloc Shaman adds spells capable of hitting your opponent’s Hero for even more pressure. I expect Secret Paladin to be a popular deck in the early days of Rise of Shadows. Never Surrender provides a good new Secret and along with Autodefense Matrix it helps you keep control of the board. Sunreaver Spy joins Secret Keeper as a minion that gets buffed by your secrets. Mysterious Blade is Fiery War Axe for Paladin. Epic cards: Masked Contender. Bellringer Sentry does a similar job to this. You could replace him with a second Wolf Rider. This deck uses lots of cheap spells to control the board and put pressure on the opponent. Epic cards: Mana Cyclone is a key card for refilling your hand. Vex Crow can replace the Unexpected Results. You can put in a Tome of Intellect and pray it gives you another damage spell to replace Pyroblast. Dragons aren’t something you usually associate with budget decks. But this deck builds off the new Dragon and hand buff synergies in Rise of Shadows with Bronze Herald, Dragon Speaker, and Call to Adventure. Swamp Dragon Egg can sometimes give you those big Legendary and Epic dragon cards this deck lacks. Firetree Witchdoctor can provide more buffs, secrets or heals. Dragonmaw Scorcher and Consecration give the deck some AoE to combat all the Zoo Warlocks and Murloc Shamans on the loose. Epic cards: Dragon Speaker, and Crowd Roasters. Dragon speaker is core to the deck. I love the reach and removal Crowd Roaster, but you can could substitute another dragon. Blizzard is determined to try to make this card work. 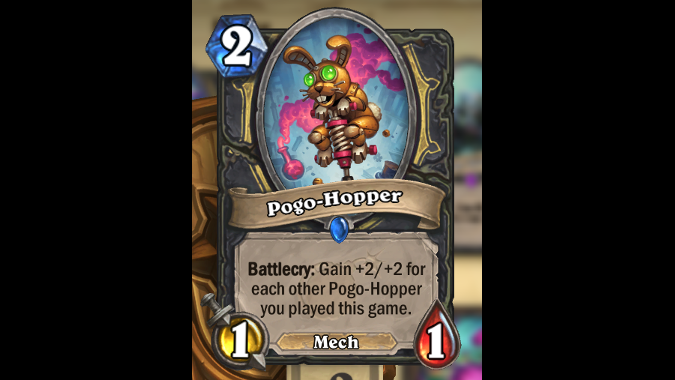 Daring Escape, Togwaggle’s Scheme, and Waggle Pick all represent new cards to put Pogo Hoppers in your deck or hand and let them grow. Rogue still has to overcome its innate weakness of having few healing options and little AoE, but against slower Control decks, these little bunnies will get out of hand in a hurry. Epic cards: Preparation, Augmented Elekk, and Waggle Pick. Waggle Pick is another way to bounce Pogos, because if your board is full of Pogo Hoppers, it won’t matter which “random” minion it picks. You could replace it with a Youthful Brewmaster for a similar effect. Use Preparation to combo with Vanish for a pseudo board clear or with Sprint for a card draw. Elekk provides you all the more Pogos. This deck is all about Lackey generation, and it’s another deck that uses Magic Carpet. Pray for Kobold Lackeys and bounce them over and over for good face pressure. Assassinate can replace Unidentified Contract, and Youthful Brewmaster can again sub in for Waggle Pick. Instead of crafting your cards, steal them! Epic cards: Spectral Cutlass and Academic Espionage, are critical to the deck and don’t have solid replacements. 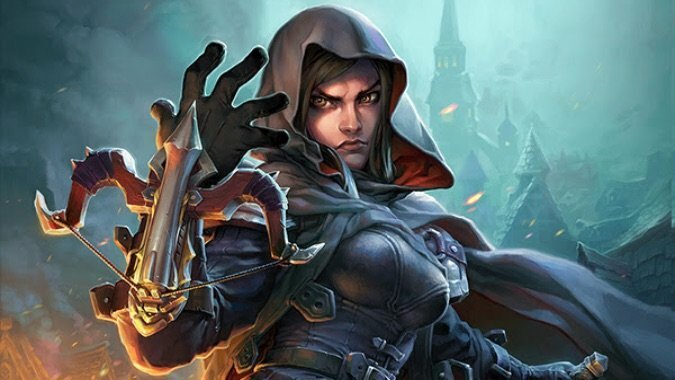 I’m looking forward to the release of Rise of Shadows on Tuesday, April 9th, and I’ll be streaming opening my 110 packs on the Blizzard Watch Twitch tomorrow night. Come see what I get and let me know what you want me to play. Then you can watch me get destroyed by Murloc Shamans and Secret Paladins on the ladder.